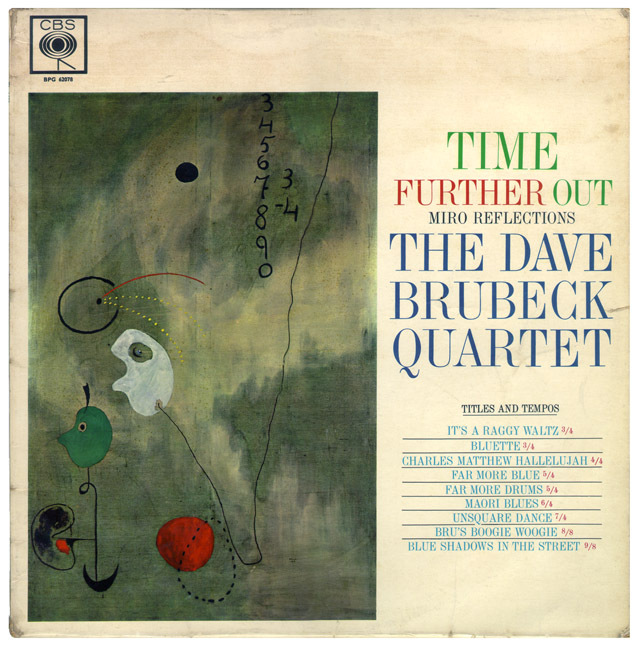 The Dave Brubeck Quartet – ‘Time Further Out’, do you remember that? Paul said he gave you that as inspiration and he didn’t expect you to literally copy it. Quite simply, this was a seminal 12’cover for me. the artwork promised everything, and nothing….it was truly mysterious and played on my simultaneous obsessions with hushed, ethereal musical releases; iconic art; intelligence; tight and satisfying typography design (I was honed on such as The Face and ID at the time); and a general sense of something different and exciting. 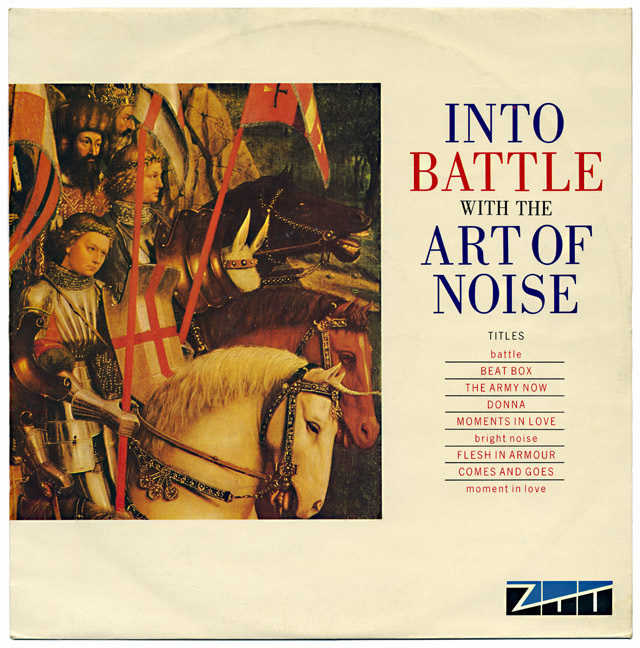 “Into Battle”‘s cover art satisfied, entirely, all of these……….and I never regretted it. 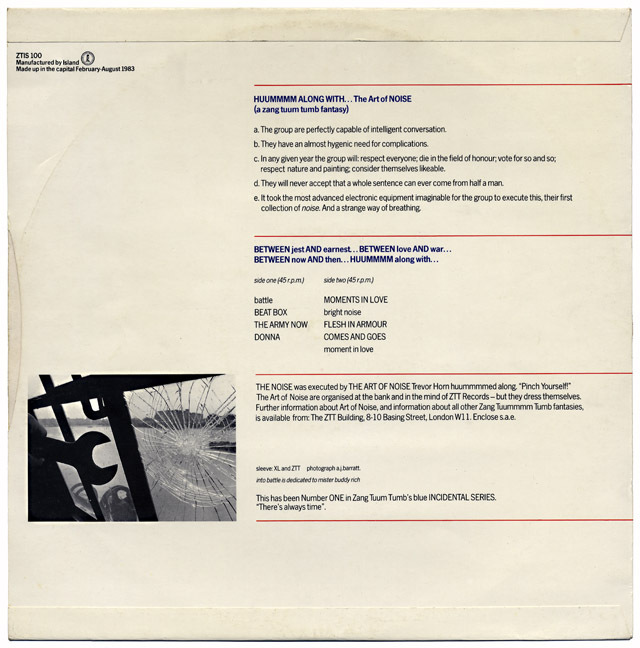 The fact that I truly cared about catalogue release numbers and the various ZTT series which followed was being fed – ZTT releases just mattered and showed caring for the music buyer – a masterstroke. The last time I felt such pleasure was a short time before: buying early, plain cover Tommy boy releases where the play-out liner section of the 12” had messages and you could leave the needle on when the track finished and get strangely cut up beats from the “Bonus Beat section (so kind) of the track. 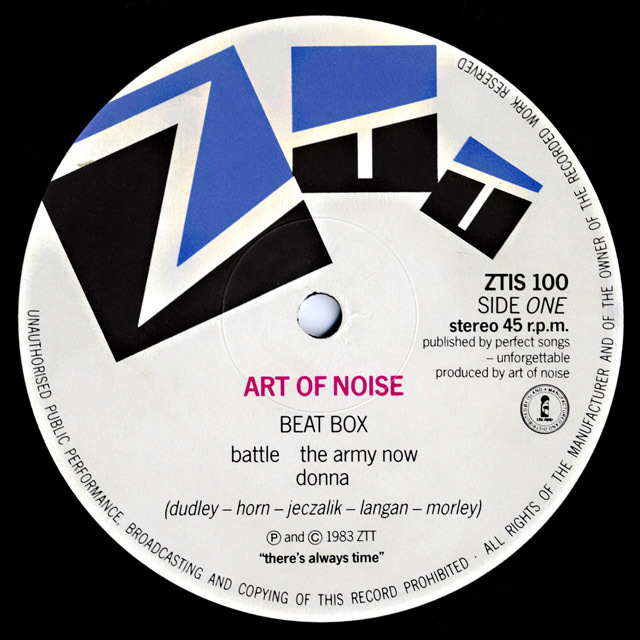 In a sentence, XL/ZTT artwork was of a quality and preparation which changed my life and the game t’boot. 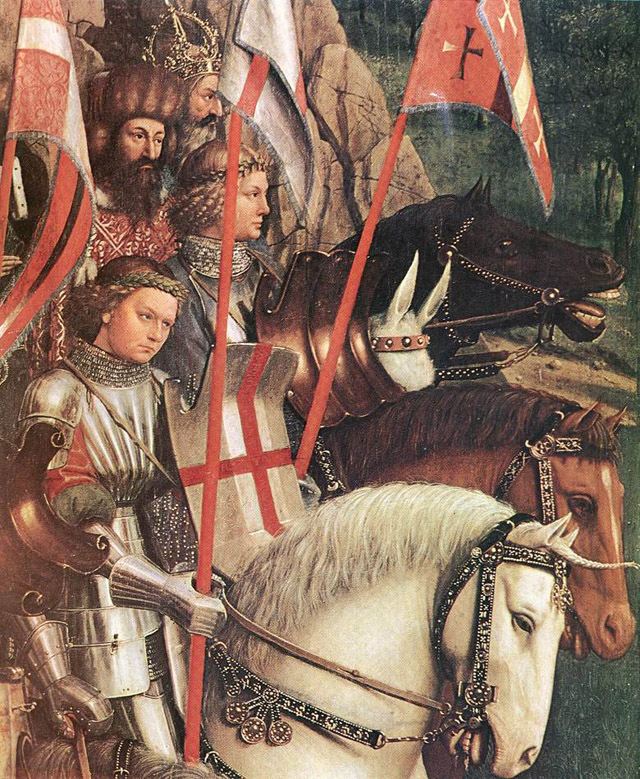 Yes – it is a copy! Dave, click on the images and you get a gallery of extras including the Brubeck sleeve, if you see blue dots under the right hand corner of an image that means there are more in a gallery.